A change of season merits a change in playlists, especially when a bountiful harvest of international songs appear on the scene. Long awaited releases from Wilco, Clap Your Hands Say Yeah and Mates of State anchor the list while Beirut, Neon Indian and Girls weigh in with solid collections. 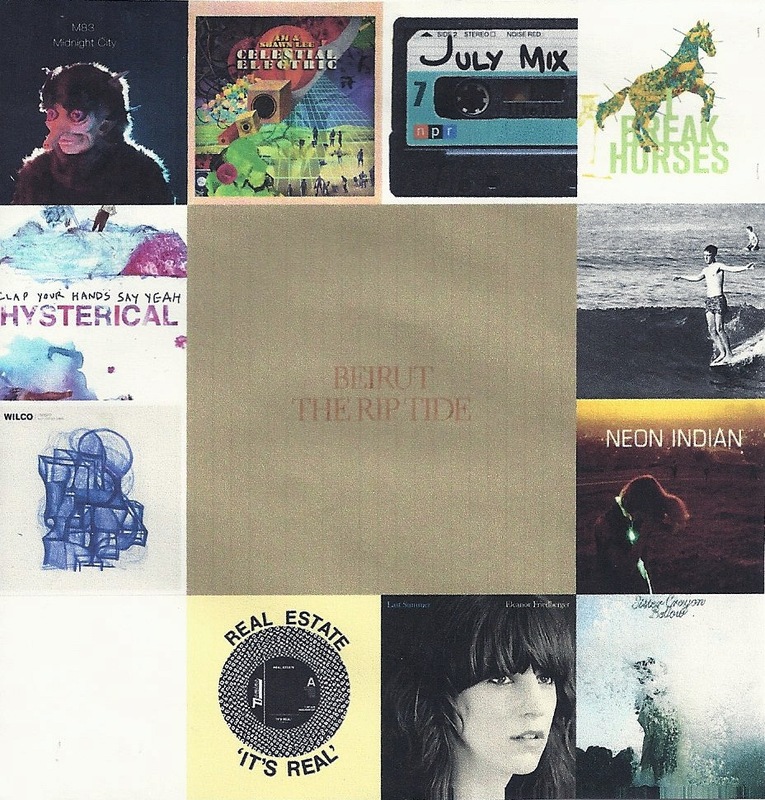 Singles off new albums are a nice holdover until music fans can dig into fresh picks from Real Estate and M83. 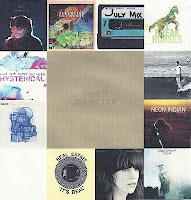 Of course, there’s a welcome addition of new bands such as I Break Horses and Sister Crayon to keep the ears happy. Listen at link here, enjoy! French musician Anthony Gonzalez formed M83 a decade ago with an unabashed love of electronica to create pop songs with a dreamy feel. This is the single off the band’s sixth release, Hurry Up We’re Dreaming. This Swedish-Japanese band gets its moniker from singer Yukimi Nagano’s nickname. The group of high school pals started playing together in 1996 and this eclectic synth pop tune is the title track of their third album. With a changing line up but under the leadership of singer Jeff Tweedy, Wilco has been part of the Chicago alt-rock music scene since 1994. This solid single is off their ninth album, The Whole Love. Sister Crayon is a quartet from Sacramento, California (home of CAKE, another similarly idiosyncratic band). This song is off the group’s first official release, Bellow. Singer/songwriter Zach Condon began Beirut as a solo project and yet this six-member band is on its third album, The Rip Tide. The world music influence is from Condon travels around Europe after dropping out of school, adding distinctive vocals to make it his own entire universe. Drummer Vito Roccoforte and guitarist/singer Luke Jenner formed this New York City dance punk band in 1998. After five years, the group is back with a new release, In the Grace of Your Love. Real Estate is a quintet based in Ridgewood, New Jersey since 2008. Their take on psychedelic indie rock is revealed in this carefully crafted single off their upcoming second release, Days. Neon Indian also began as solo project by Alan Palomo, who rode the indie pop chill wave movement when it came on the scene two years ago. His vocals are no longer buried for this catchy single off the sophomore release, Era Extraña. Married couple Kori Garner (keyboards) and Jason Hammel (drums) has created infectious indie pop under the name Mates of State since 1997. They’ve expanded the sound for this swirling single off their seventh album, Mountaintops. I Break Horses is a Swedish indie band recently formed by Mana Lindén and Fredrick Balck. This shimmering song is off their debut album of the same name. Clap Your Hands Say Yeah is a quintet that met at Connecticut College and they are now based in Brooklyn/Philly. Their debut album was self-released in 2005, gaining notice without record company input. Singer Alec Ounsworth brings an individualistic approach to vocals as usual in this song off their third release, Hysterical. Eleanor Friedberger is also half of the Brooklyn band Fiery Furnaces with brother Matthew. Here she breaks out on her own with emotionally charged results. This song is from her raw and candid solo album, Last Summer. Christopher Owens (singer/songwriter) and Chet ‘JR’ White (bass/producer) formed this indie rock band in San Francisco, enlisting other members as needed for touring. These two varied but still rebellious songs are off their second album, Father, Son, Holy Ghost. Annie Clark is the avant garde multi-instrumentalist and singer/songwriter behind St. Vincent. She has also performed with The Polyphonic Spree and Sufjan Stevens. The majestic treatment for this song is indicative of the iconoclastic music on her third release, Strange Mercy. This collaboration formed through friendship let to the recent album, Celestial Eclectic. The mesmerizing song features AM’s wistful falsetto over Shawn Lee’s percussion with lofty themes contemplating right and wrong.